I asked this question last time and suggested our screens manage us, more than we manage them. What’s the impact? Depth – we lose the ability to concentrate. As a result important skills can atrophy. Here’s a non-business example. Music is my avocation and my office is home to keyboards and guitars. 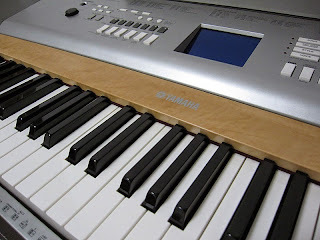 In fact, my Yamaha keyboards allow to simulate an entire band or orchestra. Yamaha literally makes me a one-man band. Why then should I practice guitar and piano? In the same way, recording technology can automatically fix out-of-pitch singing. Why then should we learn how to sing well? I can go on, of course. My computer corrects my spelling and grammar. Why then should I learn to spell and put words together into coherent sentences? What to do? How to avoid a dreadful dumbing down?